Individual, couple or family seeking counselling in Leeds or Bradford? Unsure about how to get started? Hi and a very warm welcome to the site. If you have been considering counselling and have arrived here you might feel unhappy, frustrated, fearful or struggling. Perhaps you feel "stuck" - not knowing where to start to make changes - or maybe you are sad, afraid, anxious, angry or confused. You may feel that your relationships, work or quality of life are suffering, and you want to do something about your situation. Maybe you simply know that you are unhappy, and want to talk about that with someone, or explore ways to help you to feel better. Do you feel as though your enthusiasm has vanished, you can't communicate with the most important people in your life, or your self - esteem is low? Call me or email today to take the first steps to move forward with your life. I can help you feel more positive and get your life back on track by giving you space to explore your difficulties while you move forward towards the best outcome for you. 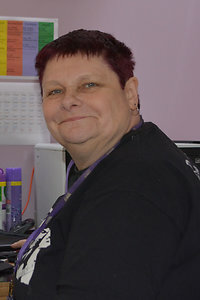 I provide face to face and telephone counselling/therapy in Eccleshill, Bradford BD2 and Calverley, Leeds LS28 to individuals, couples, families and employment providers on an open-ended basis or for an agreed time period. This might involve assessing relationships, managing anxiety or anger or addressing motivation. Among my varied areas of expertise I have long standing experience with addiction issues and their impact on wellbeing. I also have advanced qualifications in careers counselling so please get in touch if you have been made redundant or are considering retraining or a career change. I am experienced in helping clients to assess their transferable skills, develop action plans and write CVs and applications. As a career changer myself I understand the challenges this poses and am happy to support you to explore your options, and move forward with confidence. Please note also that I have considerable experience in counselling teachers and other education professionals through a range of issues. I can offer evening and weekend appointments as well as daytime appointments to enable you to access counselling whilst maintaining your work commitments. These weekend and evening appointments not only enable clients to access counselling without taking time off work, but ensure that you can maintain absolute discretion. Qualified counsellor or trainee looking for a supervisor in Leeds or Bradford? I am qualified to offer supervision and would be happy to discuss this with you. I offer concessions to counsellors in training. I have a newly decorated and renovated counselling room in Bradford, BD2, Eccleshill. This is in a quiet and discreet area with street parking outside. There is a frequent bus service with a bus stop a few minutes away. I also work in premises in Calverley, within easy reach of the Ring Road. The counselling rooms offer a calm, peaceful environment and a pleasant waiting area. There is plenty of safe on street parking outside. Calverley has excellent public transport links and is easily accessible by car from Leeds, Bradford and other towns in West Yorkshire. If you are unable to travel to Eccleshill or Calverley for counselling I may be able to offer a home visit on request (subject to distance and availability). Please contact me directly if you wish to discuss the possibility of accessing this service in Leeds or Bradford.